Sorry we are so behind on posting! After vacation, I attended a conference and then as soon as I got back into town my sister came to stay with us for two weeks. She and I have been BUSY for the last two weeks: watched four chick flicks, went to see Eclipse, made friendship bracelets, went shopping at the outlet malls, tie-dyed shirts, baked cookies, baked muffins, had a spa day complete with pedicures and haircuts, and ate at all Jenna’s favorite Tally establishments (Chick-fil-A, Moe’s, Coldstone, and TCBY). Whew! Pretty much the best sister visit ever. No wonder I haven’t made it to the computer for a while! But enough with my excuses – on to the recipe! Last week, my friend Elizabeth turned the big 3-0. Happy Birthday, Elizabeth! She loves gorp (aka trail mix) so there was no question as to what she was getting for her birthday. 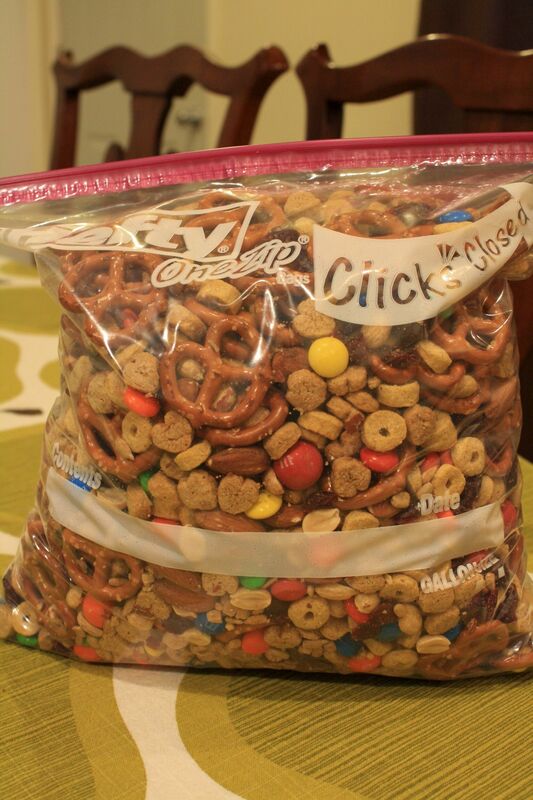 I love that trail mix is endlessly customizable. 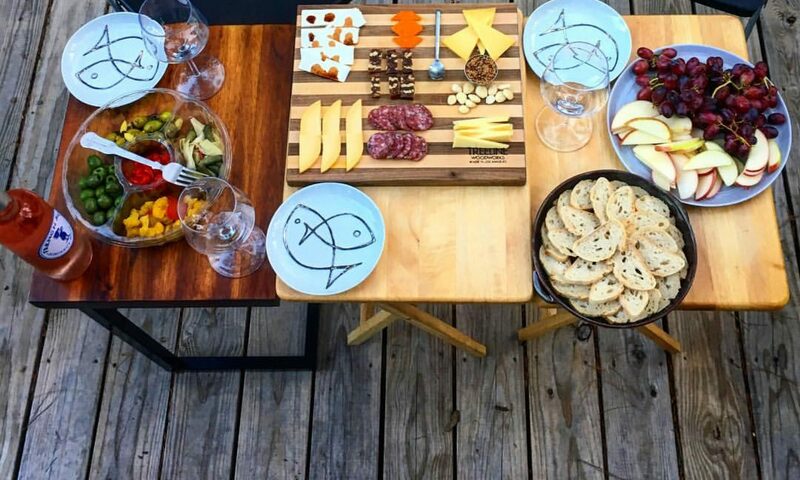 Here is my favorite recipe, which I used for Elizabeth’s birthday gorp. Note: I never use exact measurements when I’m making gorp, so the amounts in the recipe below are approximations. When you are satisfied with the mix, pour the mixture into a large plastic bag or container or portion into individual snack bags. 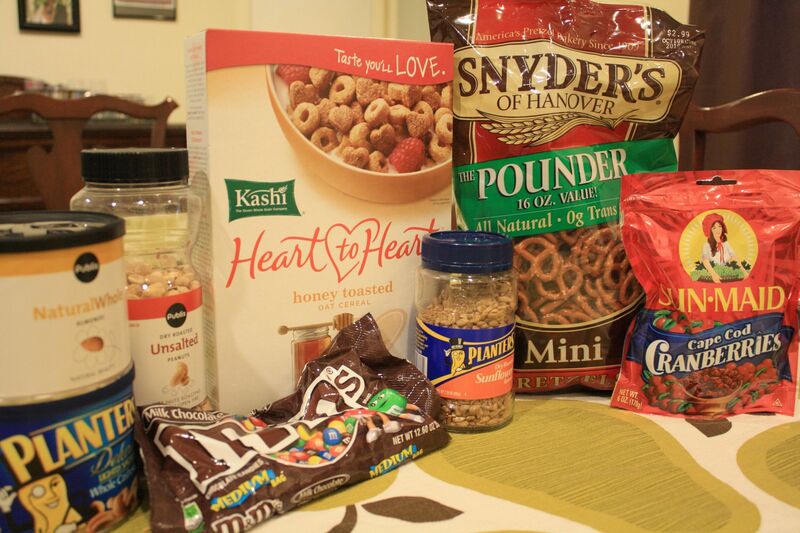 Like I said above, trail mix is endlessly customizable. I like to make the mix above (minus the chocolate because chocolate makes my tummy hurt) and keep some in my desk at work or in my gym bag for a quick afternoon snack or pre-workout fuel. Yes, I broke down and did it up right for her with Gator colors. 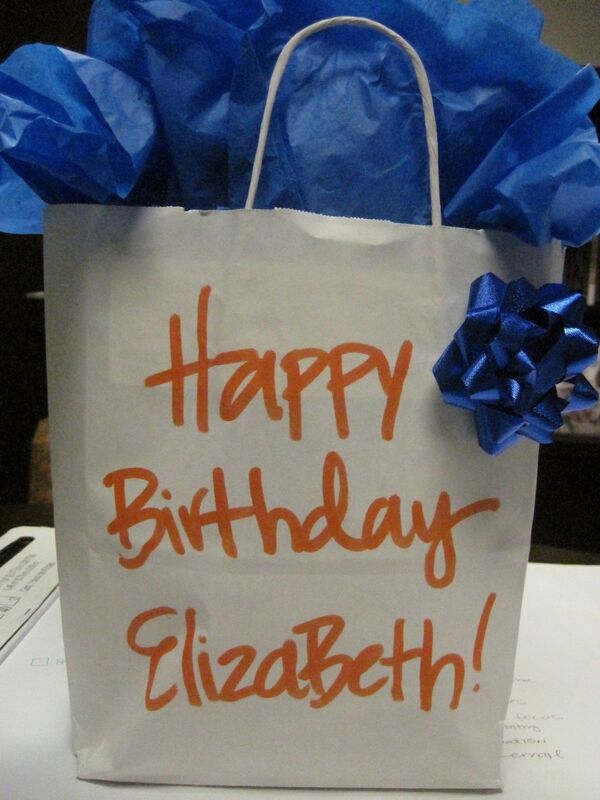 Happy Birthday, Elizabeth! 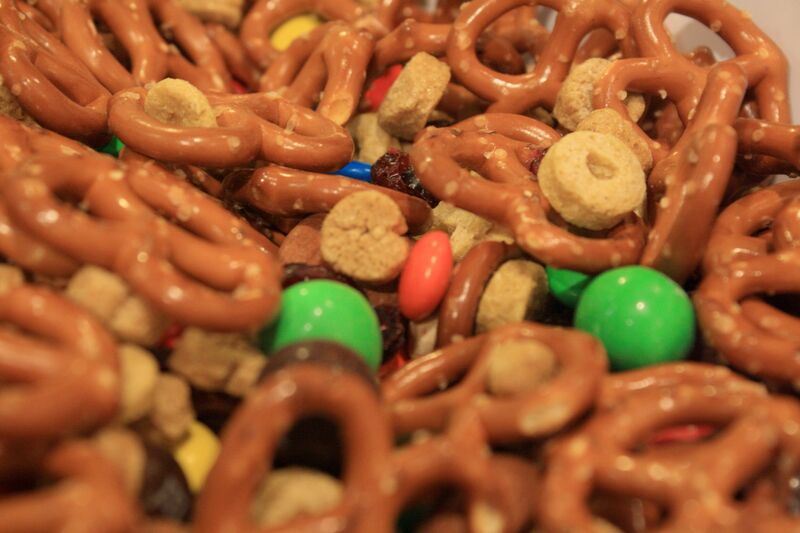 Leave a comment and let me know: what is your favorite trail mix combo?